Some Italian learners progress more quickly than others. Is this because they’re smarter, more talented, or maybe just lucky? In some cases perhaps. Most of the time though, a lot of what determines your success in a language is a) the amount and consistency of time you put into it; and b) the way that you go about practicing it. In this post we’ll take a look at 5 practical techniques that you can use to learn Italian successfully. Italian comes from the family of the Romantic languages. Romantic languages have deep Latin roots. English has also been influenced by Latin (though not quite as much). Latin isn’t the only language to influence European languages. Greek also had a huge part to play. Also hidden in many languages are words based in languages you wouldn’t expect. Take the English word bazaar (bazar in Italian)…. This word comes from an original Persian word. Over the years languages (along with cultures) have rubbed shoulders and influenced one another. As a result neither Italian nor English has developed in isolation. This means English and Italian have words with similar meanings, spellings, and sounds that both originated from a separate third language. Learning cognates sometimes feels like cheating because they are so easy to use and remember. In reality though you already learned them when you learned English. Because you’re a native English speaker you have a mild head start in learning Italian over the native speakers of languages that aren’t as closely related. That being said, learn as many cognates as you can! Even if the word isn’t as common it could still come in handy if you get stuck. There’s always been a bit of debate in the language learning world as to whether or not you should learn grammar explicitly or implicitly. I don’t think a lack of grammar should ever keep you from trying to speak a foreign language. However I do think that implicit learning by itself doesn’t work well when dealing with more complicated grammar. In some of my reviews I’ve written about how beginners often decry one of the most popular language courses out there because it simply doesn’t explain grammar. Tenses, verb conjugations, noun inflection…there’s some tough spots in Italian grammar. As you come across these foreign grammar concepts take some time to study and practice them. Hone in on one aspect at a time and practice using it by writing out sentences or simply by speaking. Read different grammatical explanations and example sentences. While you don’t want to spend all your time grinding out grammar exercises, 10 or 15 minutes a day of focused practice will help you master these otherwise difficult areas of the language. Another great way to master Italian grammar is to work with whole phrases or conversations. This isn’t as easy to do while you’re speaking with someone, but it can be done with Italian audio. 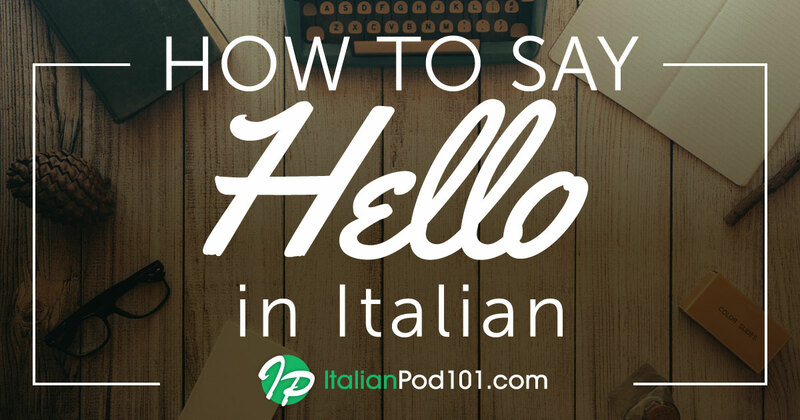 ItalianPod101’s podcast episodes are ideal for this because they feature native Italian conversations. As you study and work through a conversation first look at the words and phrases that you do know. Then without resorting to a translator or dictionary, do your best to figure out what any new or unfamiliar words mean. After that feel free to look them up. If you work this way with whole sentences you are much more likely to internalize Italian grammar. Italian course books, apps, and podcasts are all great ways to learn the language, but eventually the rubber will have to meet the road and you’ll need to start using what you learn. The best students of Italian take every opportunity they can to practice the language with real people. Italian may not be quite as popular to learn as Spanish or French, but even so there are still a lot of other Italian learners out there. Try to link up with a meetup or language exchange in your town or city. If you’re unable to find an exchange in your area take the search online and find some native Italian speakers on free sites like Wespeke or Hellolingo. These sites connect language learners around the world. Here you can help out an Italian who is learning English, while they in turn can help you practice Italian. It’s a win-win. Undoubtedly when you begin to speak Italian with native speakers you will make a lot of mistakes. This is a natural part of the language learning process. In your first few conversations you’ll probably mispronounce, misconjugate, or all together forget Italian words. But that’s okay. Learn to embrace these mistakes. As long as you’re practicing with a native speaker who can give you accurate feedback, those mistakes can do nothing but help you improve. After getting feedback on your mistakes, the next most important thing in your spoken language practice will be to keep the conversation going (in Italian of course). If you make a mistake correct it and move on. If you can’t remember a word do your best to describe it in Italian to your language partner. Use what words you have in order to be understood, even if your sentence or diction comes out a little weird. Most people talk about how important it is to speak a language you’re learning, but not nearly as many mention how powerful writing in the language can be. Writing in Italian lets you use all the material you’ve learned but without the demands of a real time conversation. Writing is also an excellent way to expose the words or phrases you don’t know or are unsure about. You can write in an old fashioned paper journal and do your best to check it or have an Italian friend look over it. You can also write entries online and have them corrected by Italian speakers. Lang-8 lets you do just that. The site is completely free. There you can write a short entry in Italian and receive feedback almost instantly! Italian is a beautiful and worthwhile language to learn. While it’s not always easy to speak, it is always rewarding. Use these tips as a guide to jumpstart your progress. No matter what, keep your head up and stick to your guns. After a bit of patience and hard work you’ll be speaking Italian soon enough! Happy Holidays and Happy New Year From ItalianPod101.com! Happy Holidays and Happy New Year from everyone here at ItalianPod101.com! 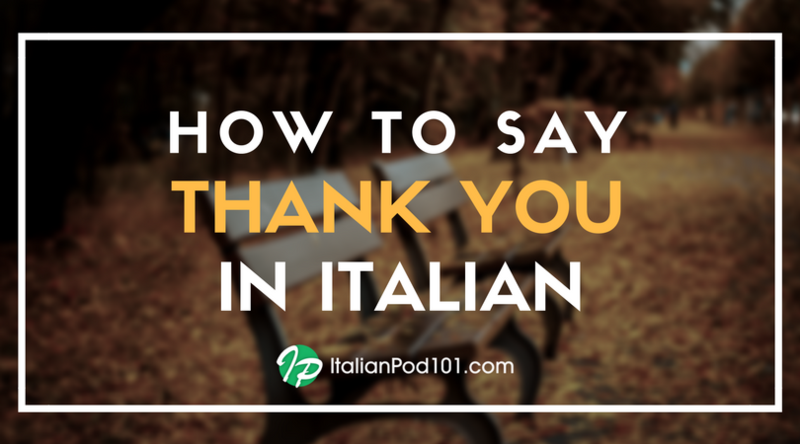 We’re grateful to have listeners just like you, and we’re eagerly waiting for the upcoming year to learn Italian together! 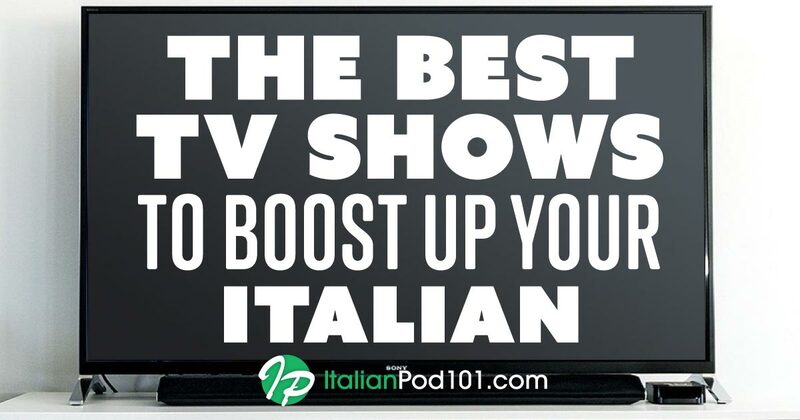 And when the New Year comes around, be sure to make a resolution to study Italian with ItalianPod101.com! Have a healthy and happy holiday season.